22 December 2015. 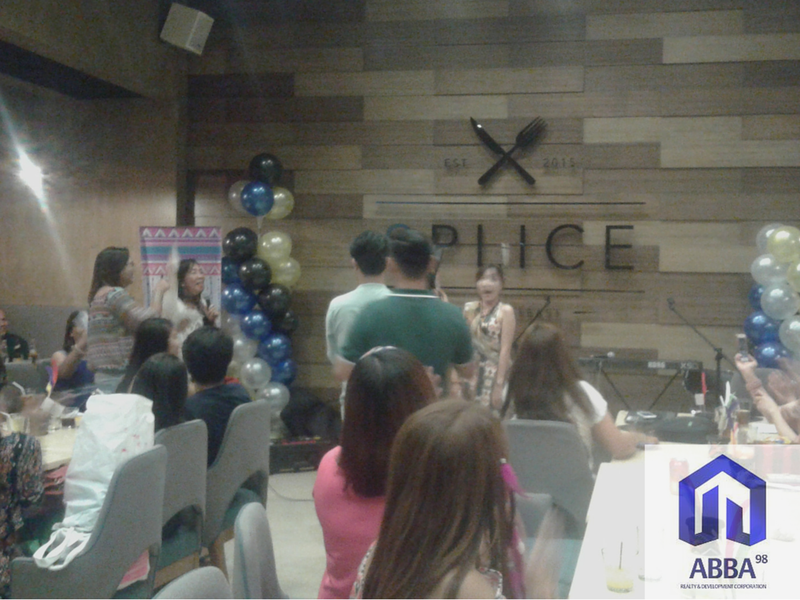 Last Tuesday, Abba Personnel Services Inc., sister company of Abba 98 Realty & Dev’t Corp, held an Aztectacular Party in Splice Resto Bar located in The Portal, Greenfield District, Mandaluyong City. The party was scheduled to start at 7pm. Everyone came in with their best Aztec costume and later on the program, someone was awarded as the Best Dressed of the Night. Abba PSI Officers created a fun-filled program, each employee were willingly (and all out!) participated on all of the games they had prepared that evening. 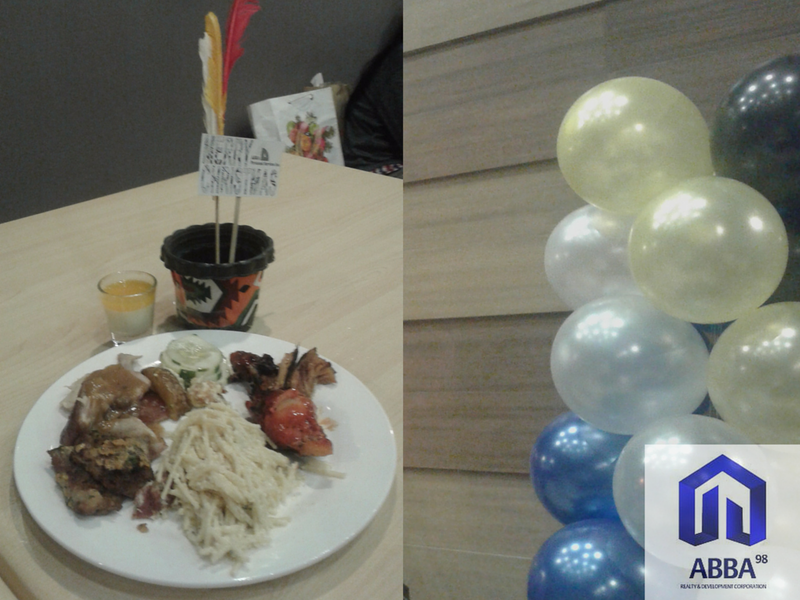 It was a simple get-together and bonding moment for both Abba PSI and Abba 98 Realty peeps. As for Abba 98 Realty, its International Broker, Sir Paolo, together with Ms Arah, Sales Coordinator (the ones on the left, your left) invited some blogger friends to join in the fun and the ones who were able to make it were (on the right) Leo of OhOhLeo, Dems of Dems Angeles and Donna (yours truly.. hehe) of Honey’s Haven. 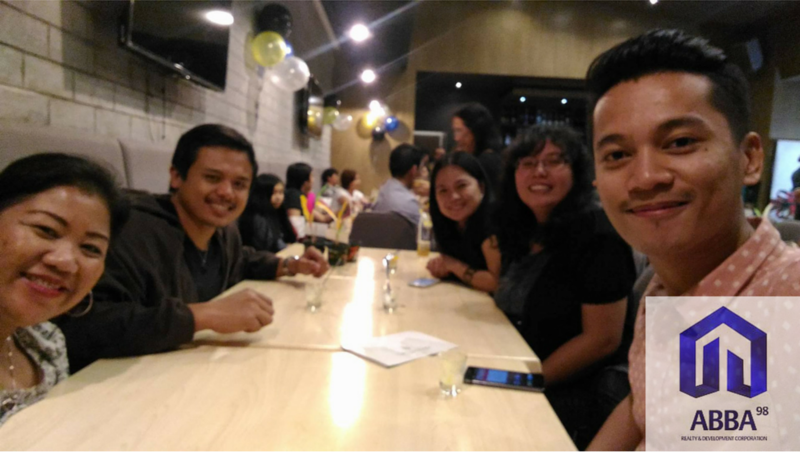 This particular event sealed a deeper meaning of friendship among the bloggers and Abba. Cheers! The party’s never complete without food. What’s great about booking a party with Splice, they accept early booking, can customize packages based on budget and preferences. 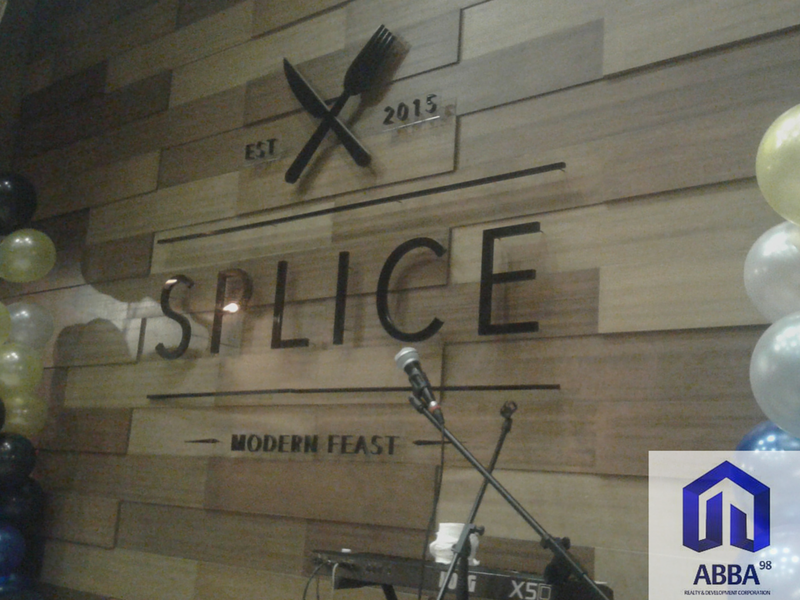 If interested, kindly check their page here – Splice Resto Bar Facebook Page or contact them at 0925 677 5423. 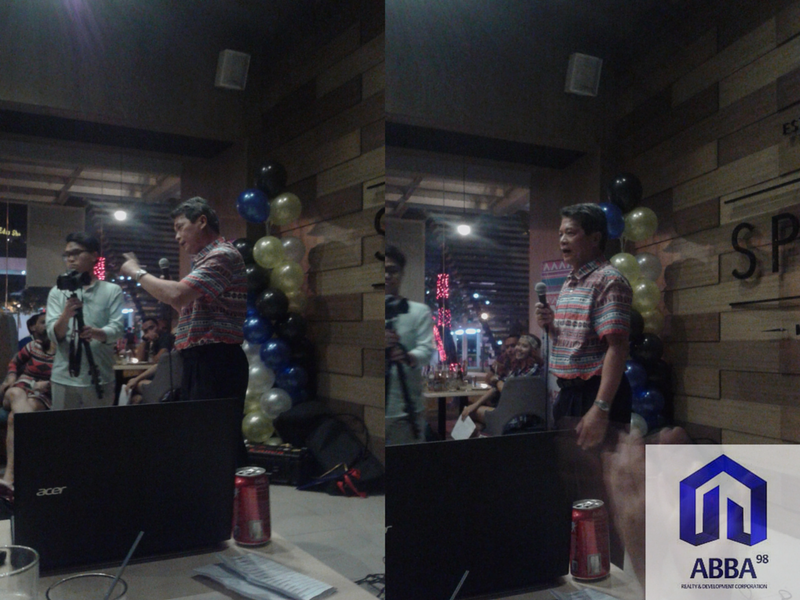 Before the party came to an end, we were mesmerized by the speech of Mr Nestor Flores, President of Abba PSI. It was simple, short yet powerful delivery. You will immediately notice how down to earth he is and how he loves his employees (and it also show on the faces of his employees how he is loved by them) who share same vision, which is helping Filipinos get jobs abroad. Contact them on this link. To all of our Clients and Followers, Happy Holidays!